Radiance Medspa franchise for sale. Free Radiance Medspa franchise information. The Radiance Vision is built on the belief that our company and its dedicated Franchisees can improve people's lives by helping them look better, feel better, and enhance their overall well being through the technology of non-surgical treatment therapies. You can be a part of this vision! We'd like to welcome you to our presentation today. 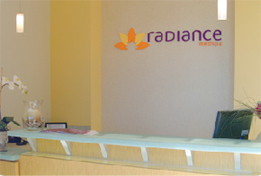 The Radiance Medspa Franchise Development Group is committed to the success of its individual franchisees. When you join the Radiance family, you get more than our name. Radiance provides you with the support of its highly qualified and experienced staff during the development of your Radiance Medspa and through its day-to-day operation. 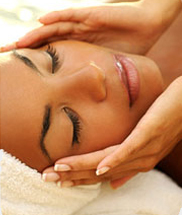 What is a Radiance Medspa? A Radiance Medspa performs the latest in clinical skin care modalities in a luxurious medical facility with an upscale, tranquil, and soothing spa like environment. Radiance Medspas deliver medically supervised treatments that are the latest and safest aesthetic non-surgical treatments. These include (IPL) Photo Skin Rejuvenation, Intense Pulse-Light Hair Removal, Botox, Collagen, Restylane, Chemical Peels, Microdermabrasion and a complete line of Retail Clinical Skin Care Products. Baby Boomer consumer market is ready for Radiance! 50 and over age segment is the largest growing market in the U.S.
Radiance Medspa Franchise Group is seeking qualified entrepreneurs or physicians to become individual franchisees or area development franchisees in what is the most dynamic healthcare opportunity of the 21st century. To contact a business development representative, complete the form on this site and we will contact you with more information. This is a limited engagement. All qualified candidates must attend a Radiance Medspa Franchise Group presentation in order to be Eligible for a Radiance Medspa Franchise. To learn more about the Radiance Medspa franchise opportunity, simply complete the form below.